Dr. Brian Westover DMD and Robert Kowal DDS at Brookside Dental in Clackamas, Oregon believes every patient deserves a stunning smile whether it takes emergency dentistry, restorative dentistry, or dental implants. 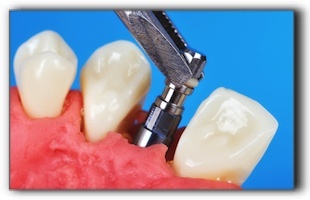 Today’s post will address the preparation needed for dental implants. Consider calling 503-905-3380 today for your own personal consultation and to receive one-on-one information specific to your needs. Ideal candidates for dental implants include patients with missing teeth, dentures, or bridges who have healthy oral tissue, adequate bone structure, and proper health for bone healing. Our patients in Portland, Gladstone, Gresham, and Oregon City come from all backgrounds and have a wide range of dental issues. For many, dental implants are an extraordinary solution. An initial visit with Dr. Robert Kowal DDS at Brookside Dental 9225 SE Sunnyside Rd Ste 1, Clackamas, Oregon 97015 is the first step. For this evaluation be sure to bring pertinent medical information, current medication list, and questions you have about the process. Dental implants take multiple visits and the process is different for each person so be sure you understand all the critical details. If we determine that you don’t have enough bone structure at the implant site, bone grafting may be necessary. Visit https://www.brooksidefamilydental.com/dr-brian-westover/ for more information about our practice and services including invisalign braces, gum contouring, veneers and teeth whitening. Our friendly staff is ready to offer general dentistry, family dentistry, cosmetic dentistry and many other general and cosmetic procedures.